It is another year, The European Foundation of Human Rights is pleased to invite you to attend in a series of trainings regarding International Law. Second meeting will take place onˇthe 11th November and will be about “Human Rights in practice”. 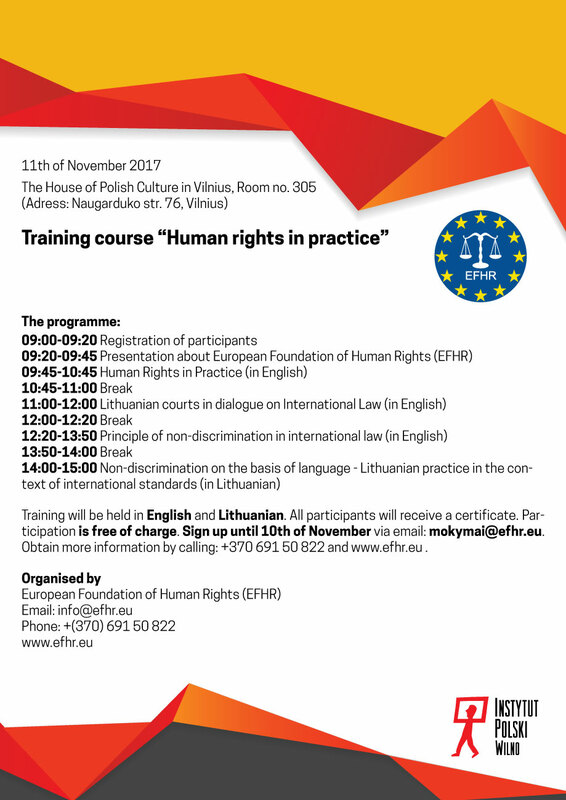 The training course will be led by PhD Katarzyna Miksza, who is an assistant professor at the Institute of International and European Union Law and deputy head of Human Rights Laboratory at the Mykolas Romeris University and by PhD Elżbieta Kuzborska, an expert in law, lecturer and author of several articles regarding Human Rights. Lithuanian vocabulary towards International law. Non-discriminatory language – Lithuanian legal practice towards international standards. 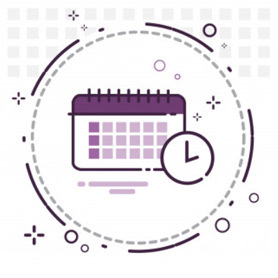 Everyone interested in this topics, especially those who work within the legal field on a daily basis, such as lawyers, prosecutors, judges, legal firm employees as well as law students areˇinvited to attend the event. For years EFHR has organised such courses, leading by qualified specialist in International Law. To learn more about first meeting of this year please consult our webpage here. The lecture will take place on 11 November at 9:00 am, in the room 305 of The House ofˇPolish Culture in Vilnius (Naugarduko str. 76, Vilnius). To reserve a seat please send a request via email: mokymai@efhr.eu by 10th November. Please, be aware that there are a limited number of places available.